Build the Blundergat Wonder Weapon and decimate the zombie horde in Call of Duty: Black Ops 4. 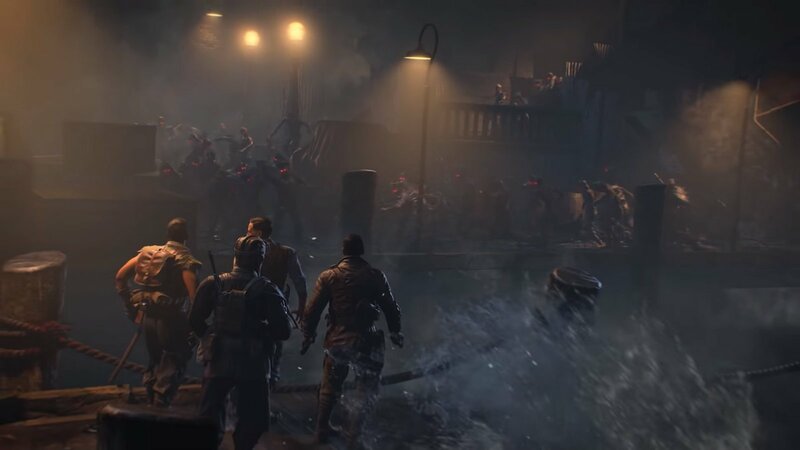 Killing zombies with Wonder Weapons is the best way to advance through the waves in Call of Duty Zombies, and no Wonder Weapon is as awesome as the Blundergat (alright, there might be some). For players to get the Blundergat, they will need to jump through a few hoops, including collecting other weapons and finding some hidden items. To make the Blundergat, players will need to find five Spectral Skulls hidden around the map in Blood of the Dead. These skulls are invisible and difficult to reach, meaning players must unlock two key items required in collecting them: the Spectral Shield and the Hell’s Retriever. The Spectral Shield lets players see hidden items while the Hell’s Retriever is used to fetch items that are outside the area of play. However, players who know where to aim can simply use the Hell’s Retriever, as the Spectral Shield is only necessary for figuring out where exactly the skull is sitting. The five Spectral Skulls are hidden all over the map, so make sure you know how to turn on the power else these locations will be locked. After collecting all five Spectral Skulls, head into the Warden’s Office to find the Blundergat spawned on the desk. Pick up the Blundergat and get to work creating the Magmagat! Be sure to check out the Shacknews Call of Duty: Black Ops 4 Zombies guide and walkthrough for more help with Wonder Weapons.